Do We Need To Stress About Analytics? | Alyssa J Freitas: Do We Need To Stress About Analytics? 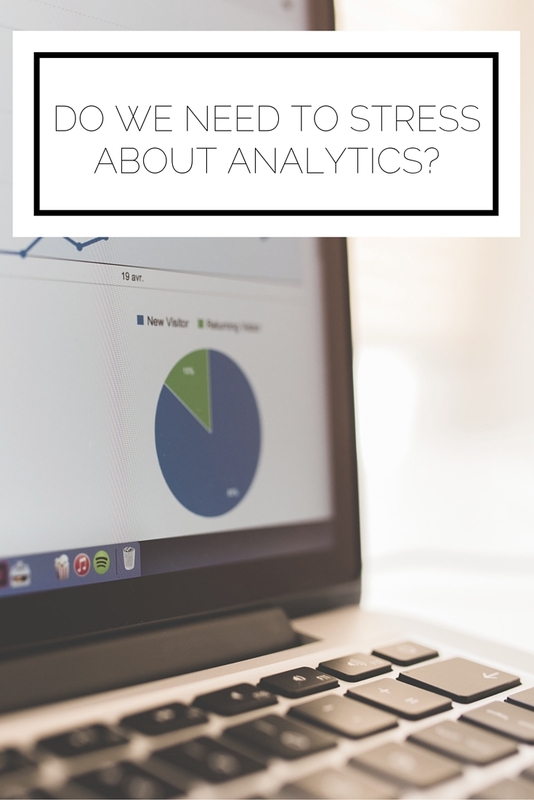 Do We Need To Stress About Analytics? There are many, repetitive pieces of advice floating around the blogsphere. There are words of wisdom like "content is king," (no duh...) and posts compelling you to join every blogger network in existence. While there is certainly a lot to be said for recommendations such as these, I am particularly against the emphasis placed on analytics. Now, for those running their blog as a business it is of course very important to be able to communicate with a company the reach of your readership and to look at your audience in a critical way. However, if you are a blogger who does this for the love of the craft, it does not make sense to stress about analytics. When first I set up Google Analytics I compulsively checked my stats (sort of like I do with the price of gold, but I've yet to break that habit...) and would find myself disappointed if I didn't see the numbers increasing fast enough. What I failed to realize is that the 'success' of your blog does not have to come down to numbers. In fact, when I thought about, I value the interactions I have with my readers (through commenting, on twitter, etc. I get so excited when I hear from you!) rather than simply the number of readers, the bounce rate, or the unique visitors. Another reason I'm not particularly fond of using analytics to profile my readers is that I think it takes away from the dynamics of each one of you. We hear about the "ideal reader" all of the time, and using demographic information just serves to try and box a person's preferences. When I post I try and think not only about the vast majority of my audience, but also what would be valuable for others or a different, non-boxed perspective. What are your feelings on analytics? Are you a fan, an enemy, or something in-between?